YouTube - In this video, Tactical Veterinarian shows off a beautiful future breeder mojave piebald ball python from their collection. 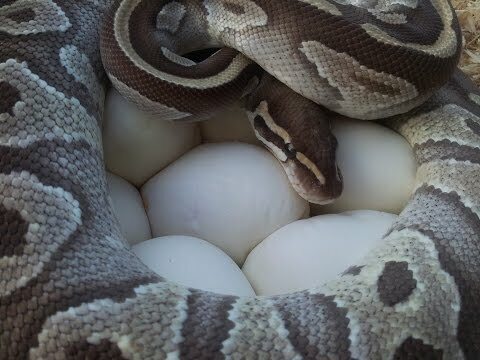 YouTube - A mojave ball python at Tactical Veterinarian coils around her clutch of eight freshly laid eggs. 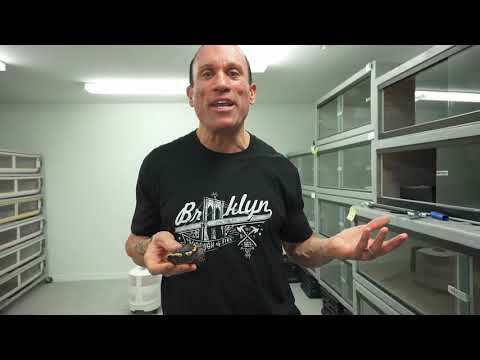 YouTube - Dave Palumbo of Palumbo’s Pythons and Boas shows off the ball python babies that he hatched out from a coral glow pastel x GHI mojave pairing. 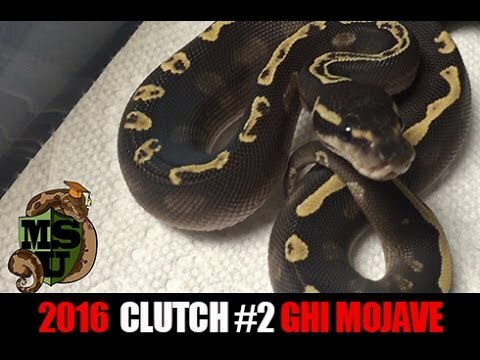 YouTube - Dave Palumbo features a very cool clutch of GHI mojave x mojave ball pythons. Check out all the cool combos that can be made from two simple genes. On the Web - xyzReptiles discusses the versatile and beautiful mojave ball python, its origin and the many marvelous combos that it can create. 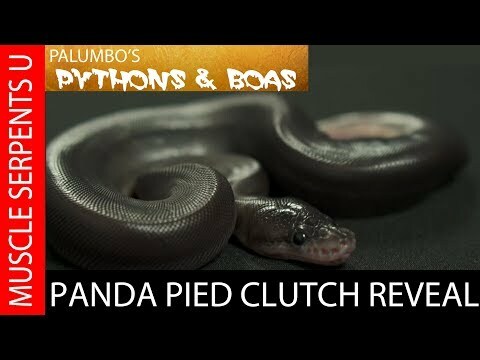 YouTube - Dave Palumbo showcases his first ball python clutch of 2018– the panda pied project (super black pastel piebald). Did he beat the odds this time around?